Brian Henebry is a partner and trial lawyer in Carmody Torrance Sandak & Hennessey’s litigation department. Brian is the former Managing Partner of the Firm and led the efforts resulting in the combination of Carmody & Torrance and Sandak, Hennessey & Greco in 2014. He is a member of the firm’s litigation practice group, which was named a “highly recommended” Connecticut litigation team in Benchmark Litigation’s Guide To Leading Business Litigation Firms and Attorneys. His litigation work includes a variety of matters for corporations, municipalities, and individuals, including commercial litigation, tax appeals, real estate litigation, products liability and personal injury defense. Brian also does utility siting work before the Connecticut Siting Council and other regulatory agencies. 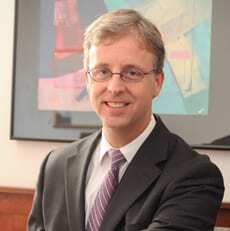 Brian has been named a “Super Lawyer” by Connecticut Magazine from 2007 to the present.